Sunshine and rain (gin and kombucha) is one of the relatively simple amuse-bouche cocktails served before main-course drinks at this bar. These whimsical concoctions are created in a glass-fronted laboratory and emerge in almost sculptural compositions. The Pretty Bird is a glass bird on a nest; the Deep Dove is mounted on driftwood. 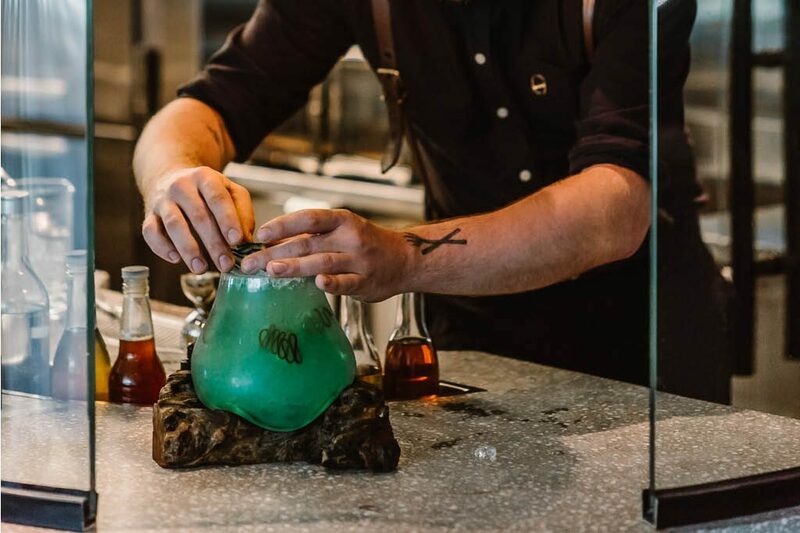 The Cocktail Lab shares its name and space with a restaurant and the vibe is demure, with soft grey and rose-gold seating providing a calming backdrop for watching the team whizzing up wild and wacky cocktails.